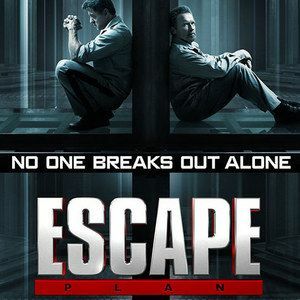 It isn't every day that action giants Sylvester Stallone and Arnold Schwarzenegger are made to look "small," but the first poster for Escape Plan manages to do just that. Sylvester Stallone stars as security expert Ray Breslin, who, when framed for a crime he didn't commit, is sent to the very prison he designed. Ray teams up with longtime inmate Emil Rottmayer (Arnold Schwarzenegger) to find a way out of this seemingly inpenetrable jail. Directed by Mikael Håfström, this action-thriller hits theaters October 18.